A recent lottery winner will not receive her 50,000 CAD prize money after allegedly buying the ticket with a stolen credit card in Toronto, Canada. A 33-year-old lottery winner will not receive her prize money after buying the ticket with a stolen credit card. The police arrested the woman on suspicion of stealing a wallet and credit card fraud as she was on the way to the lottery officers in Canada. Her winnings totaled 50,000 Canadian dollars (£29,000) but Atlantic Lottery Corporation said they only pay out for lawfully acquired tickets. The organisation said that the unclaimed prize account would go back into the draw for future winners to win. Police had been investigating a stolen wallet when they noticed that the victim’s credit card had been used to buy lottery tickets. They were able to identify the suspect through CCTV at a store in Newfoundland. In the process of making the arrest, the Royal Newfoundland Constabulary stopped the vehicle in which the woman was a passenger. The driver, another woman, 46, was also ticketed for driving with a suspended license and without insurance. Police impounded the vehicle and both women will appear in court, CBC reports. The Atlantic Lottery Corporation said they will continue to monitor the situation. Officers from the Royal Newfoundland Constabulary took the 33-year-old suspect into custody on Thursday. Furthermore, they charged her with two counts of possessing a stolen credit card and five counts of fraud. Additionally, Const James Cadigan told the BBC that the amount of the winnings was a “substantial sum”. “Ultimately, if not paid, this amount will go to Atlantic Lottery’s unclaimed prize account. The money will contribute to future prizes instead. 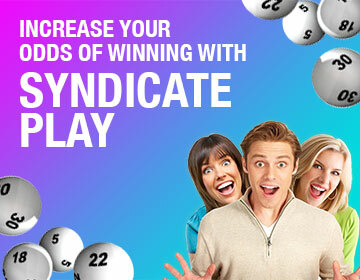 If you want your winnings, make sure you play lawfully! Join the game at OneLotto today!